Jules here. Happy Poetry Friday to all! We’re doing something new here at 7-Imp, which I’ve been wanting to do for a while. My good friend, Mr. Shannon Collins, is taking my place for this Poetry Friday entry today (that’s not him pictured here; that’s poet Bill Brown). ‘Cause I asked Shannon if he’d like to do so. ‘Cause he and Eisha are my True Poetry Friends, my poetry-geek peeps. In fact, we used to have — in pre-blog days — a random email poetry exchange. And I’ve been runnin’ my mouth about literature and poetry with Shannon, whom I met over ten years ago when I was a beginning sign language interpreter (Shannon is also a hand-flapper, and we met while team interpreting a course at The University of Tennessee), since day one. Our paths have followed a similar arc: We both started out as sign language interpreters (Shannon was also, once upon a time, an AMAZING teacher of language arts in the Tennessee School for the Deaf’s middle school department. In fact, Shannon was once named one of Tennessee’s Outstanding Teachers of the Humanities, though he’s probably cringing as I brag on him). And then we both have found ourselves today working more closely with books and literacy: Shannon is now a professor of literacy in the Department of Curriculum and Instruction at Tennessee Technological University. He also serves on the editorial review boards for The Journal of Adolescent and Adult Literacy and The English Journal, and he is currently a member of the Promising Young Writers Advisory Committee of the National Council of Teachers of English. And much more. And he’s smart as hell and funny and fun and has a real passion for poetry and children’s and YA lit as well. Shannon is also a poet himself (and a published one, at that), and if he ever wanted to share one of his poems with us, well . . . he can consider me honored in advance, should he ever find himself inclined to do so. He’s shared a few poems with me before, and they were really, really good. Each time, I felt really blessed (does that sound like a bit much? Well, I mean it) that he shared them with me. Kind of giddy, too, like I was special. Like I was being given a gift just to have the opportunity to see and read them. So, when I asked if he’d ever like to be my guest at one of my Poetry Friday entries (and I wouldn’t ask just any ‘ol person that) and he agreed, I was thrilled. I gave him no instructions, ’cause I trusted him to deliver with an entry both beautiful and thought-provoking. And deliver he does. Here’s what he has to contribute, and I’d like to thank Shannon, especially since he has the world’s busiest schedule. To begin, I give a huge, appreciative nod to Jules and Eisha for allowing me the opportunity to share a few words and, most importantly, a poem. 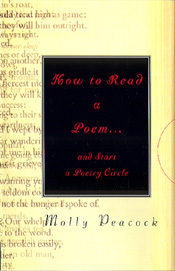 Poetry, like an occasional pint of Guinness, nearly topples into the basket of items that are necessary for life. Even if “necessity” is not quite the status of poetry, I don’t want to go too long without a poem or two. This has not always been the case. Poetry was a subject I was taught to hate during my years of public school education; I imagine at least a few reading this post shared my experience. “The wheelbarrow, Mr. Collins. What did the wheelbarrow, the RED wheelbarrow, represent?” Mrs. Bell, my sophomore English teacher, would hiss. I didn’t know what the wheelbarrow, the red wheelbarrow, meant any more than I knew the secrets of the rainwater or those white chickens clucking around. How I wish I could have told Mrs. Bell, though, that the poem filled me with such warm recollections of my great mamó’s farm when my cousin and I would take turns erratically pushing one another around in a rusting wheelbarrow while the rider would pretend to be driving a get-away car for Al Capone or Baby Face Nelson or Lucky Luciano. She, like most of my other teachers, didn’t really care how the poem made me feel, though; she just wanted answers . . . answers that matched the ones in her teacher’s textbook. Eventually the day came when I had the opportunity to share poems with my own students: for ten years it was middle school students; the past five it has been university students. Though it took me a while to work through teaching as I was taught, I now can embrace, as Molly Peacock writes, “Certain poems allow you to feel what you mean, even though you cannot dare to say what that is yourself.” For several years now, I have begun every class meeting with sharing a poem: I merely read it aloud, ask students to point out the words/lines/images that stand out to them, and encourage them to talk about what was happening to their insides as they read/listened. Every once in a while, when they forget about trying to bother with a poem’s meaning, they even talk about how the piece makes them feel. Those are the extraordinary moments I actually believe myself worthy enough to be called teacher. the rounded slope of elk. that spirits female cells awry. in the safety of our room. on the way to work? “Early This Morning” used with permission of Bill Brown whose newest book, Tatters (2007), is available from March Street Press. 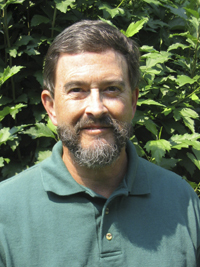 Brown also has work, current or forthcoming, in nearly twenty publications including Slant, Poem, The English Journal, Eclipse, The North American Review, CrossRoads, Atlanta Review, The Teacher’s Voice, Prairie Schooner, The South Carolina Review, and Southern Poetry Review 50 year Anthology. Thanks, Shannon! If you’re interested in more of Brown’s writing, I also found this, which includes two more of his poems, published by that blogger with his permission. There is also this May ’07 review of Tatters from The Nashville Scene. What a perfect poem for this Breast Cancer Awareness month, and so beautifully painful. “When is there a right moment” indeed. This is definitely the best Poetry Friday post I have ever read! I couldn’t agree more with your friend Shannon. Too often we are asked what we think about art–whether it’s a poem, a work of fiction, a painting or sculpture, a musical composition–but never how it makes us feel!!! Shouldn’t people, especially students, be encouraged to explore their emotional responses to art? Brown’s poem is exquisite and touching–and brought tears to my eyes. What a beautiful way to express true love for another human being. Thanks so much for this Poetry Friday post. Thanks for inviting Shannon. I loved hearing his story about the wheelbarrow, and you know I love Molly Peacock’s book ’cause I blogged about it the day I hosted Poetry Friday. I hope his students come back to thank him one day. And the poem is so tender and piercing. Thank you for bringing it here where I could find it. I know! What a fabulous post, huh? I hope Shannon wants to guest-post again, though I know he’s super busy. See why I love talkin’ poetry with him? His students are lucky, indeed. 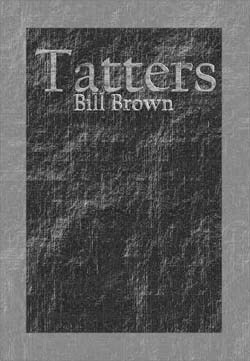 And I’m ashamed that I don’t know more of Bill Brown’s poetry, as he’s a local talent. I know that his guidance and advice has meant a lot to Shannon over the years, but I’ve not read his poetry ’til now. I will remedy this asap. I think that poem is …well, tender and piercing is a great way to put it, Sara. And may I say: Everyone, go read Sara’s entry for today if you haven’t already. Holy crap, it’s good, too. Sara, forgive me, but I have to point out brilliance when I see it, like with Shannon. Elaine, great words about encouraging the emotional responses to art. While talking to Bill Brown over the telephone regarding permission to use his words, we began discussing the importance of students’ affective domains–their emotions. Until a student is emotionally committed to the learning, it is difficult for them to become cognitively engaged. Anyway, you folks have certainly positively stimulated my affective domain. I am humbled to be a part of such sharp minded and sensitive people. Again, thank you Jules and Eisha for the invitation. I have a book of essays by noted children’s poet and anthologist Myra Cohn Livingston. I’ve underlined quotes and lines in the book, made notes in the margins. I believe it’s important to educate the whole child–to stimulate a child’s entire brain and not just the parts that will help him/her pass a standardized test. The arts should most definitely be an integral part of every child’s education. I just gotta chime in to say: Thanks, Shannon. That’s an excellent poem, and I really love it. It made me feel: curious, heartsick, amazed. Wonderful post indeed! I had the privilege of studying with Bill Brown when I was a student at Hume Fogg High School in 1990, where he taught for many years. He started my poetry journey, and I’m so grateful. In fact, I’d love to be in touch with him. Is it possible to forward my email to him? Or send him the link to my profile? Thanks in advance for helping me reconnect with one of the best models of what it means to live as a poet I’ve had. And thanks for this great blog! Met Bill Brown at Nashville FOB and loved him. I want the name of the cleverly written poem about the nightstand books that read HIM. Thank you so much.